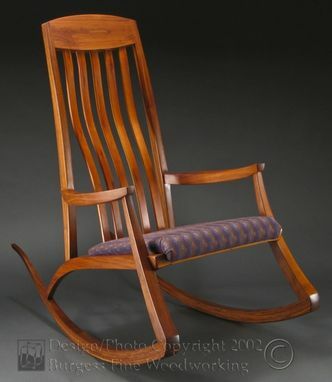 A friend was pregnant with her first child and wanted a rocker for nursing. It needed to have very comfortable back support, wide arms for holding the baby on either side, and an easy rocking motion. 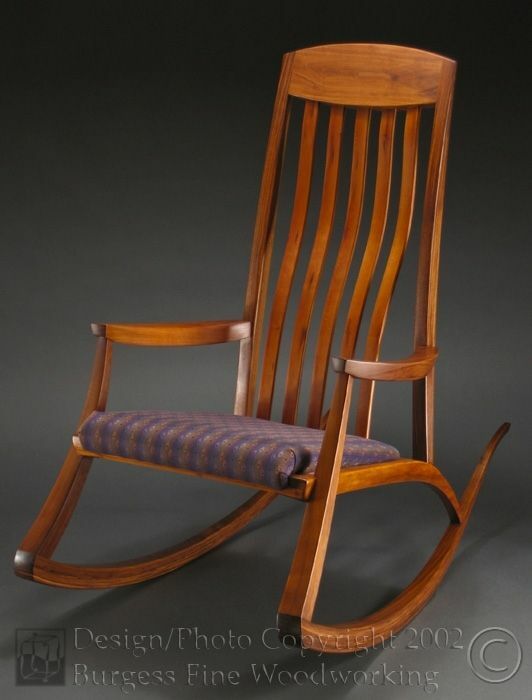 A full-scale model was used in the design process to develop everything from the seat angles to the rocker curve. The back splat shape is a result of testing on various people and body shapes. 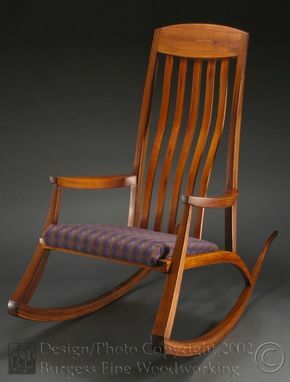 Even though it was custom built for a particular individual, all who have had the pleasure of sitting in it agree that it is an exceptionally comfortable chair. It was made with advanced traditional joinery so that she will still be rocking away many years from now, surrounded by grandchildren. 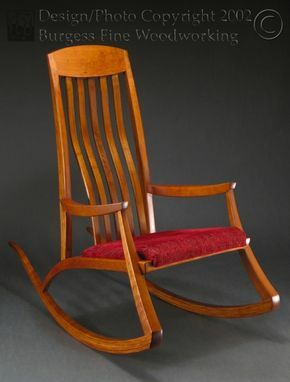 Designing chairs is always challenging, so I was excited to tackle a rocking chair. Because of the project complexity, I did a small-production run of three chairs. This is the last unsold chair. 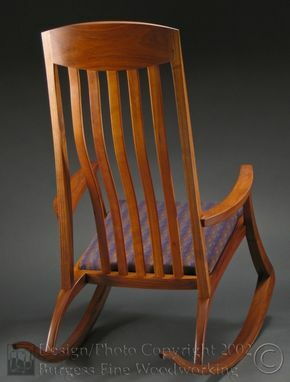 The flowing lines were sculpted by hand from solid Walnut to form the arms, legs, and back rest. 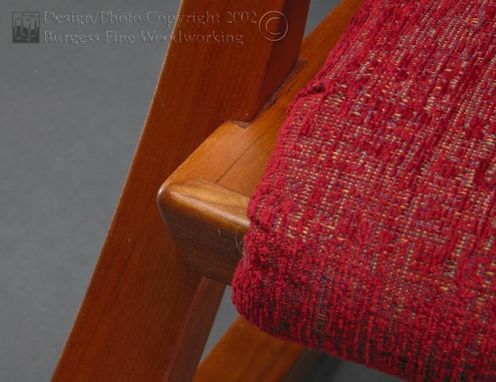 The rockers and Cherry back splats are laminations made from many thin strips of wood glued-up on a curved form. The hefty weight of the crest rail ensures an effortless rocking motion. The seat assembly is made with mechanically-locking dovetail joints that get tighter with the pressure of sitting. 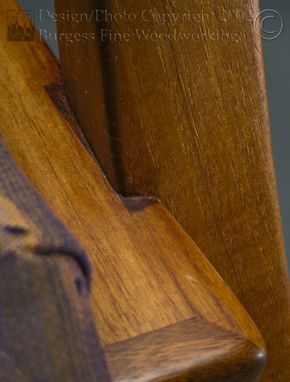 Traditional wedged mortise-and-tenon joinery is used every where else.